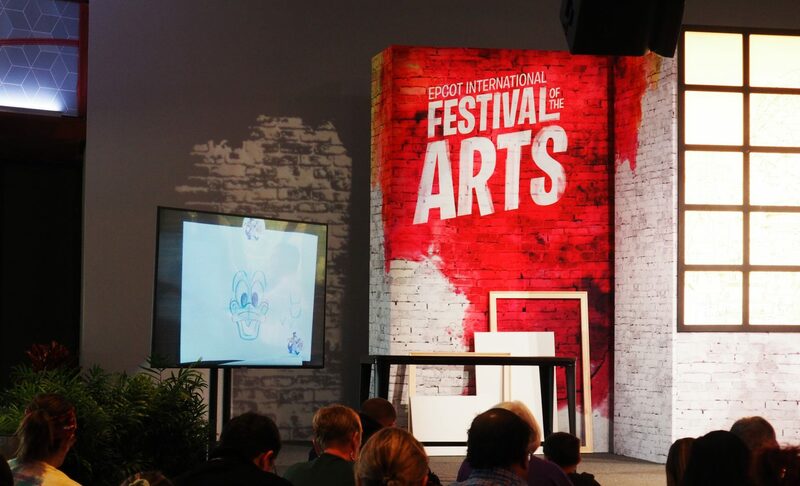 Walt Disney World’s International Festival of the Arts at Epcot may not seem like the best reason to pull the kids out of school in the middle of winter. But we’ll dare to disagree on that point. Mainly because you won’t find opportunities for art education like this in your regular schools anymore. If your kiddo has any leanings towards art, music, performance or even the culinary arts a long weekend visiting Walt Disney World is required! Get ready to be inspired. Here’s why. There is a ton of discussion out there about whether or not Disney’s Epcot is a “kid-friendly” park. From our point of view it 100% is! And the offerings at the Festival of the Arts just continues to prove that Epcot is a perfect place for kids! 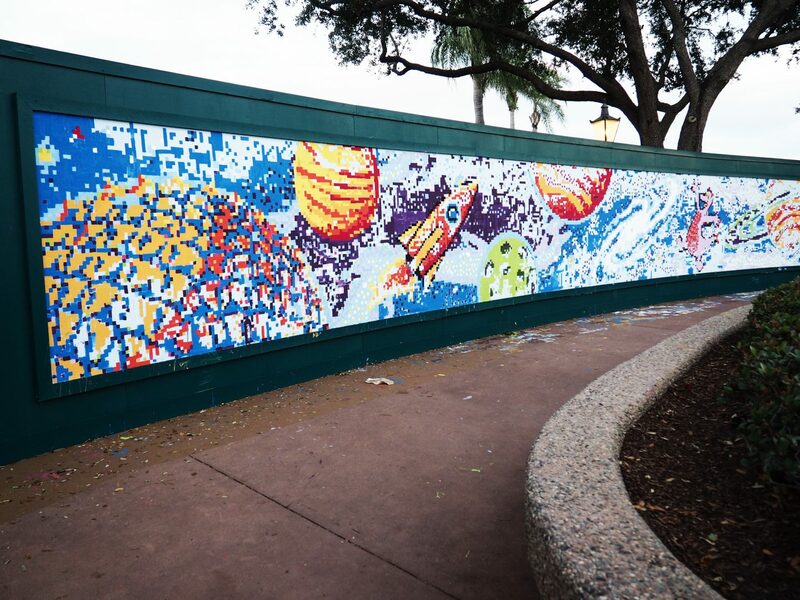 So much more than just rides, parades and dance parties, Epcot fuels creativity, educates, and inspires curiosity. Here are 8 things we love for kids at the Festival of the Arts. 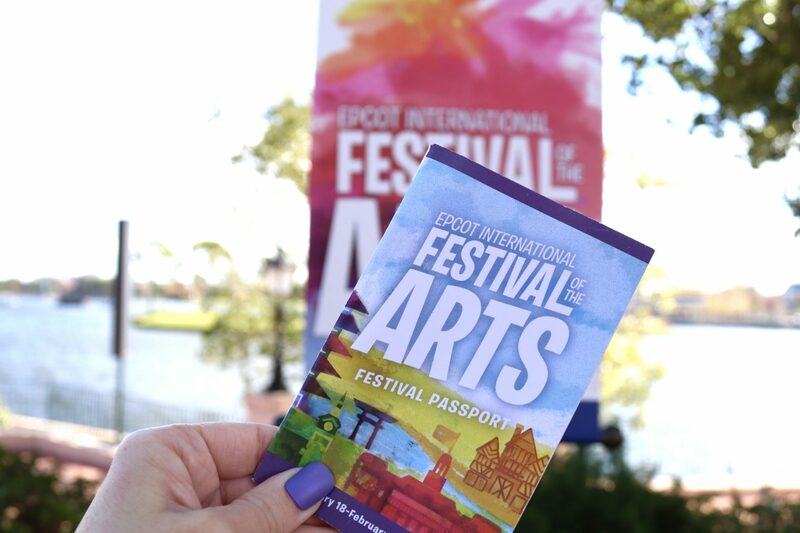 If you’ve never been to an Epcot festival, be sure to grab the Festival Passport first. This little book includes a rundown of each offering in each country. This is where you’ll see the list of classes, performers, and get stickers to track your progress traveling. We’ve written about the educational benefit of stickers before. But let’s face it, anything that involves tracking progress with stickers is fun for kids and grown ups alike. There is nothing like like a little scavenger hunt to help kids look up from their phones and keep an eye out! 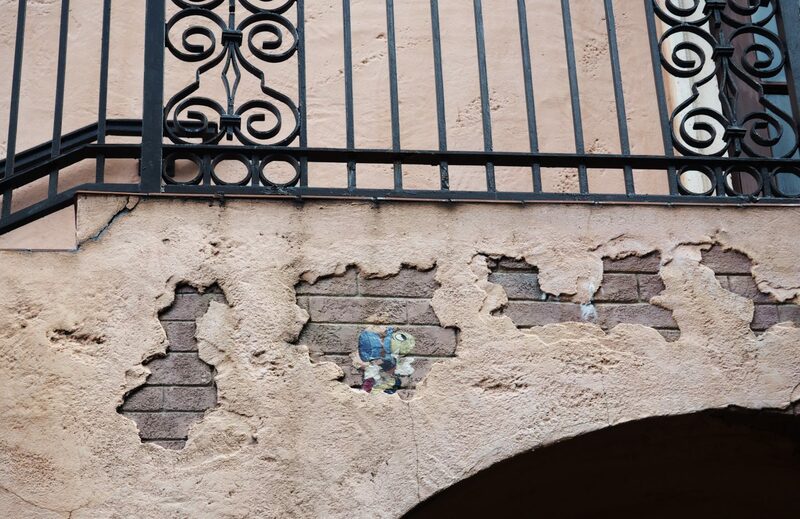 One of the newest installations at the Epcot Festival of the Arts features little pieces of art painted on the buildings. There is one in each World showcase country. So be on the lookout for key characters you know and love now gracing the walls in their appropriate countries of origin. 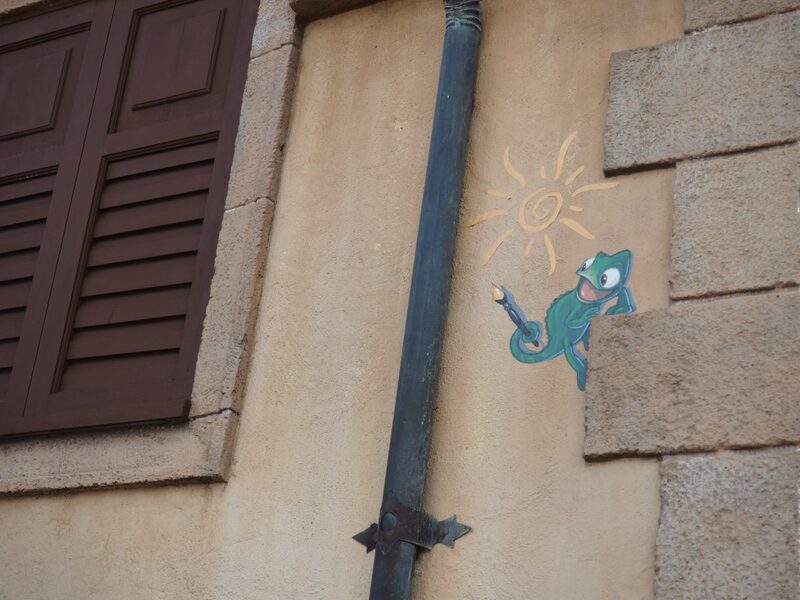 Mushu in China, Abu in Morocco, Jiminy Cricket in Italy and more! See what you can find. Another opportunity for game playing with the kids comes in the form of the Festival of the Art’s Signature Scavenger Hunt Game. 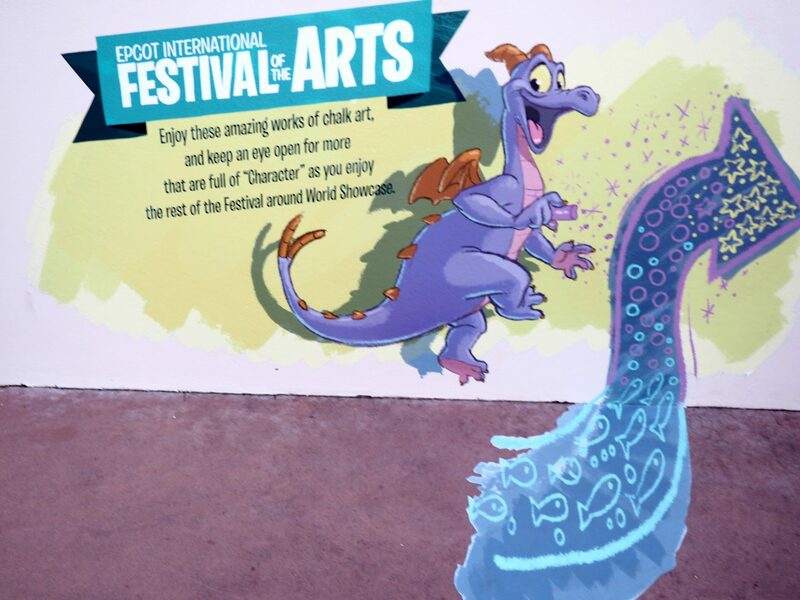 Figment’s Brush with the Master’s Game requires players to find Figment in world-famous notable pieces of art work. Another key component to any art education, this game can help kids learn the masters! And maybe even inspire them down a fancy art career path. 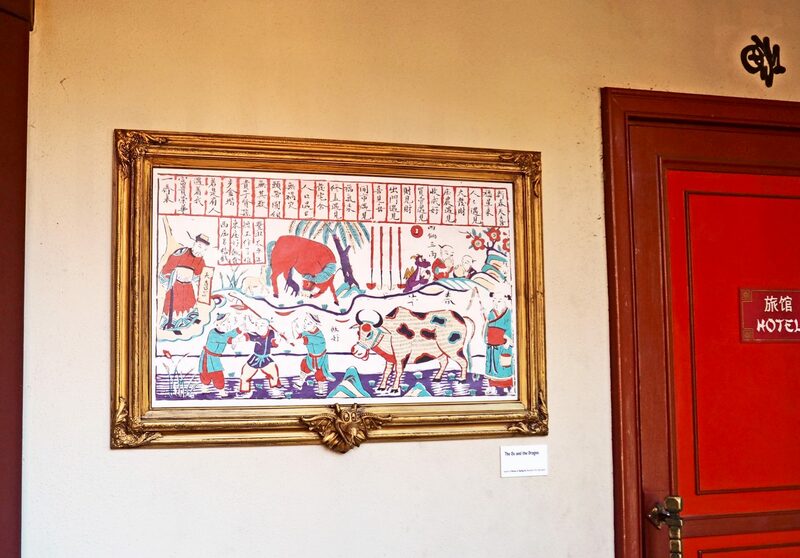 Can you find Figment in the art we found in China below? The way you play this game is easy. Grab a World Showcase map at the gift shop. Work to identify which original artwork , included as a sticker with the map, you find in each country. 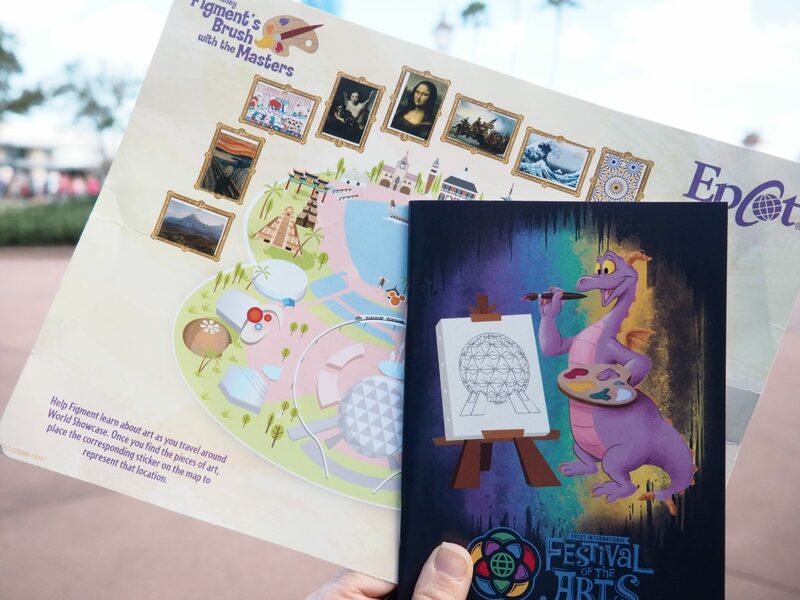 After you find all the pieces of important artwork you can bring it back to the gift shop to collect your free Figment coloring book. The prizes for this game change every year, so if you choose to start visiting annually during this festival this game won’t get old. As part of the arts featured in this festival, you can depend on some amazing things you may not have seen before. Acrobatics, feats of strength set to music, art set to music, and movable pieces of art abound. 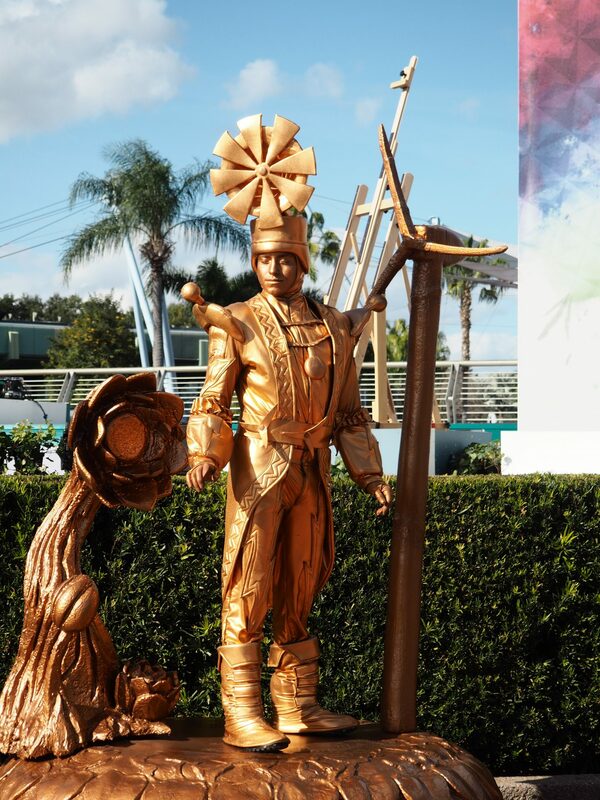 All part of what you can see at the main stage between Future World and the World Showcase. Seriously, you can’t stop watching these amazing performers. And again, for kids, this could be the coolest things they will see, no doubt inspiring them to greatness! 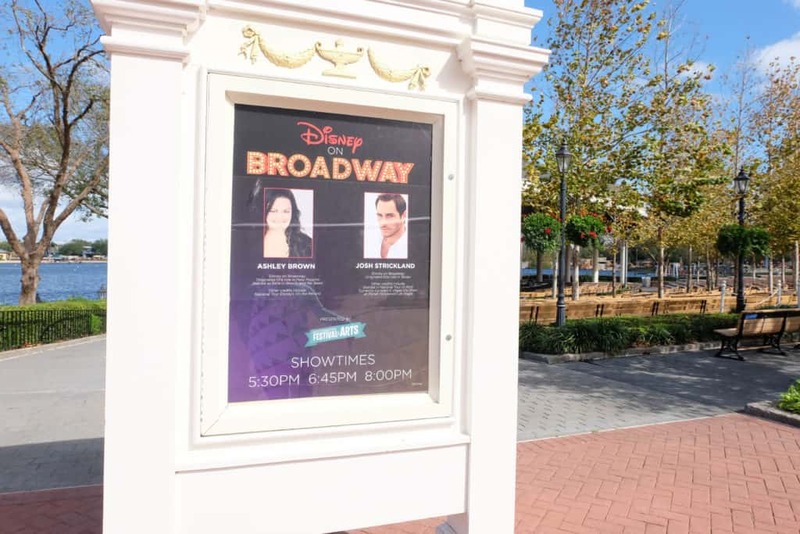 As part of the festival offerings Disney brings in the best Broadway performers singing all our favorite songs from Disney movies. What better way to introduce kids to the magic of Broadway! They’ll be thrilled singing along to all their fave songs from the animated films and feel like this event really was meant just for them. 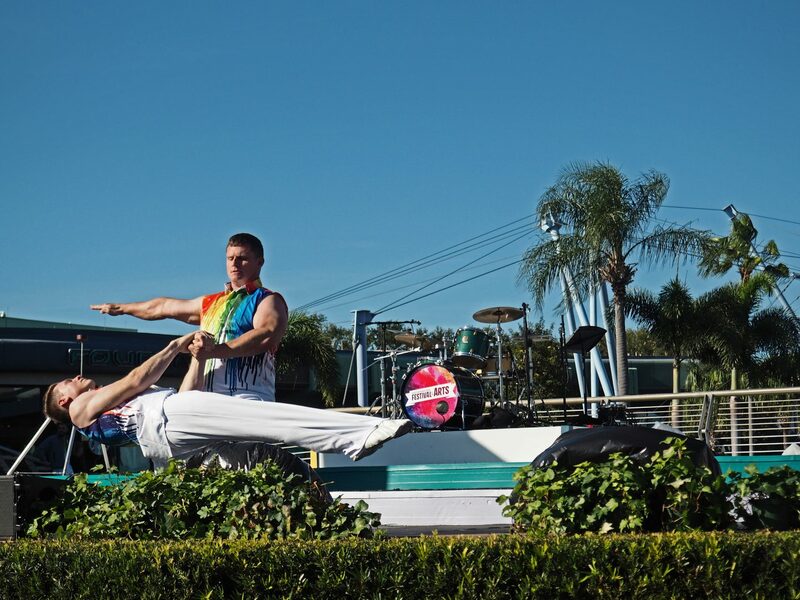 Seeing these performers is all included with the price of the Epcot ticket. Another huge perk… and surely less than a trip to New York City to see these folks on stage. One of our favorite parts of the Festival of the Arts is how interactive it gets! 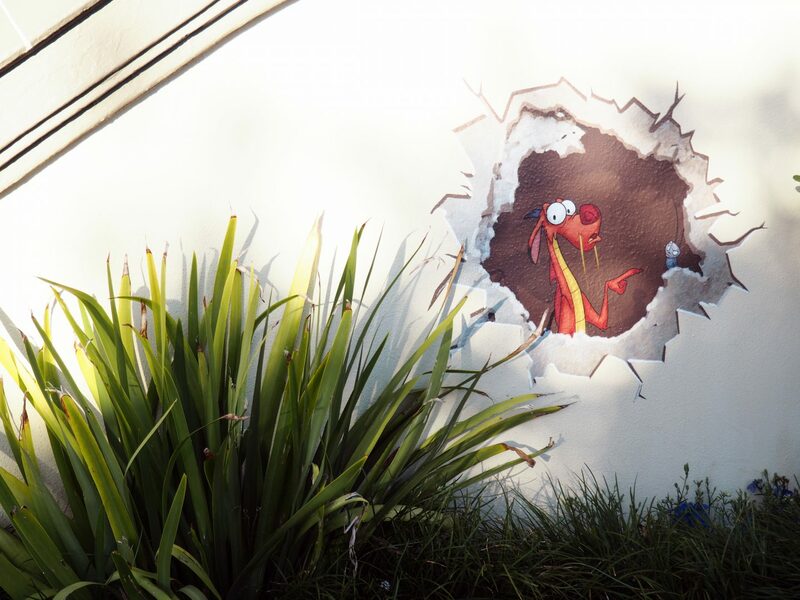 With chalk drawings, photo ops, and a mural that the guests can help paint there is plenty to do. Kids and adults can participate so its a great way to take part as a family. This color by number mural is a collection of squares with different numbers that you can paint. When finished you’ll see the complete picture and get a cute postcard as a free souvenir of the experience. Since paint by number isn’t something kids are filling their free time with these days, it’s a lovely way to introduce kids to this lost art and show kids what a communal effort can do. If you’re looking for even more art education for the kids during your visit there are Free Art Classes ( plus some paid ones if interested). Register at the pavilion at the beginning of the day and grab your seat! 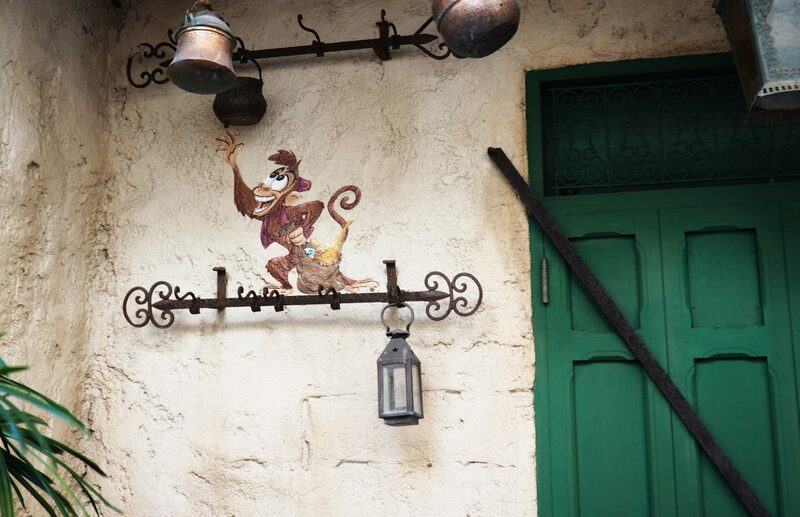 Disney artists will guide you through the paces of drawing your very own character. This is part of the event that really is the coolest thing. If you’re planning on spending more than one day playing at the festival, be sure to fit in this activity. And as a bonus… this art classroom is right next to the counter serving cookies! While the Festival of the Arts is more about ART than food… we always go a little crazy for the food. 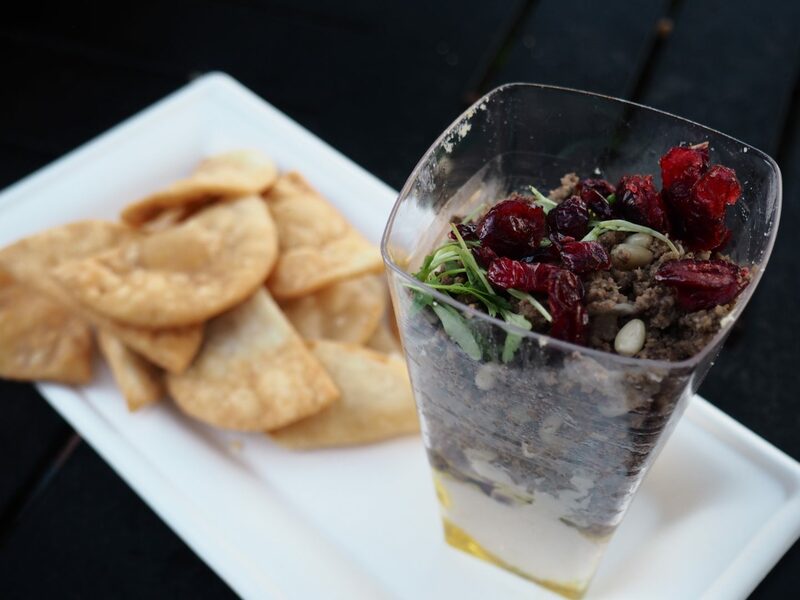 And yes, we already picked our top 10 favorites foods from the 2019 Festival of the Arts. But, if you’re bringing kids this is an excellent way to introduce them to new culinary treats. 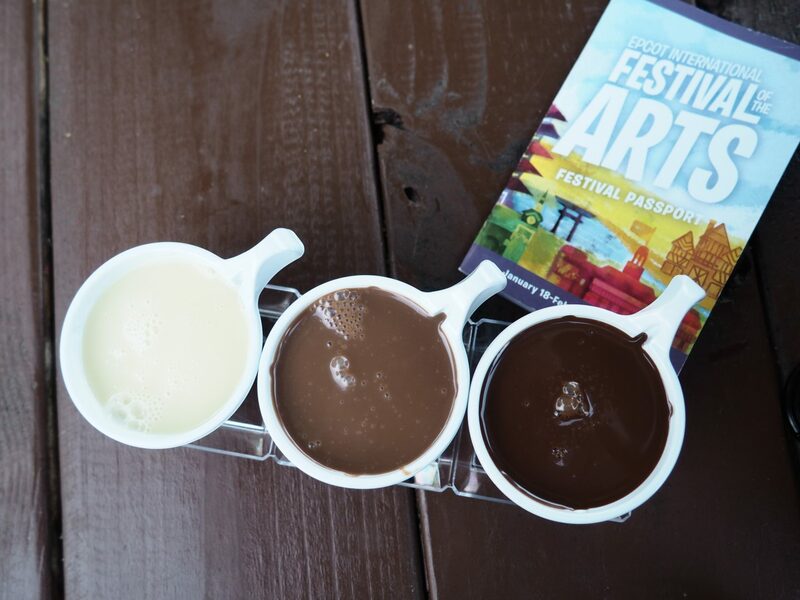 Especially since the foods at this festival are crafted with care and flavors you may not include in your at-home fare. And if your kid has hopes of being on the Great British Bake Off, then get them ready for it with this gorgeous food experience. Chances are they’ll be ready to bake and cook like crazy when you get home. Inspiration is everywhere. There you have it. 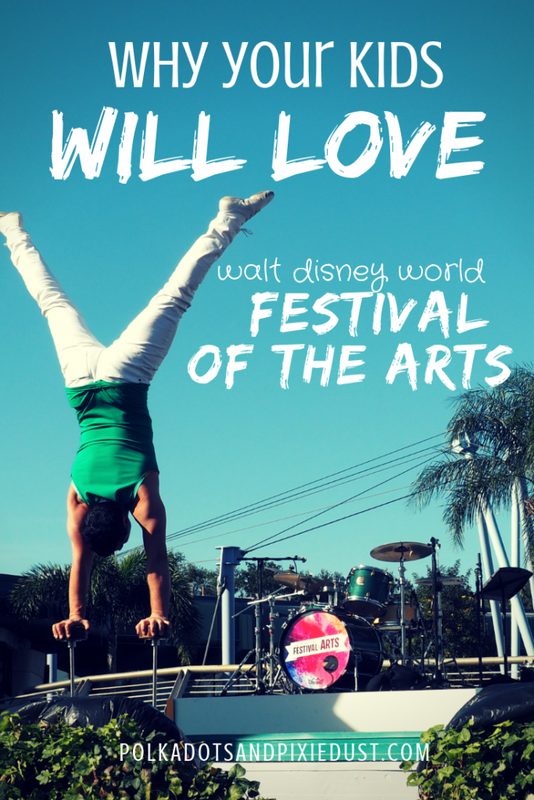 All of our reasons ( so far) why bringing your kid to Epcot for the Festival of the Arts is a Good Idea! While were not travelling with toddlers, school-age children, tweens and teens have a lot they can get out of this experience. And apart from visiting our other favorite family-friendly festival , we couldn’t find a better reason for a short break during the school year.